D-Reaper attacking the real world isn't going to go down as the most surprising plot twist ever, but the sight of it devouring downtown Shinjuku is alarming. 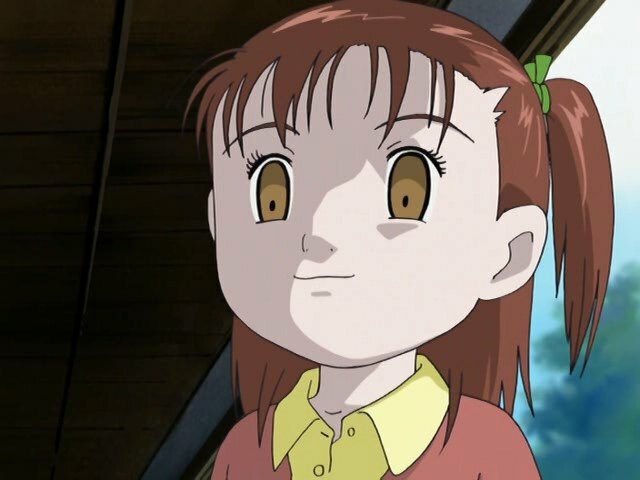 The cityscapes used in Digimon (particularly here and Adventure) are so grounded in reality that to see it at the mercy of such a grotesque blob is sure to draw a reaction. Monster attacks are one thing; this is a faceless pool eating away at real-life skyscrapers. It's subtle, but the whole city has been on guard even before the tamers returned. 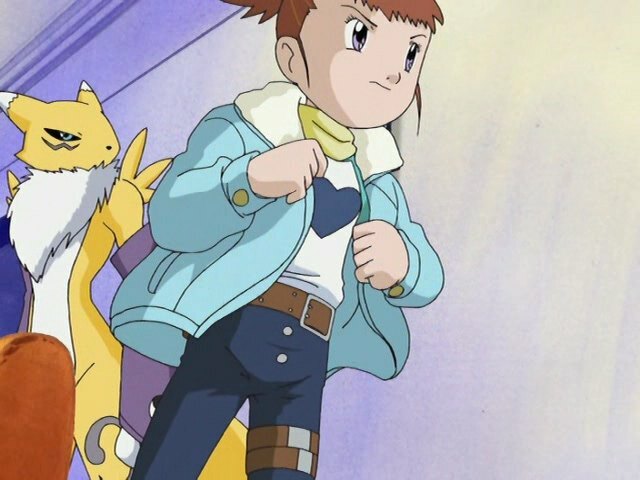 The destruction from Vikaralamon's attack hasn't been forgotten, and the various disruptions created by Hypnos, Megidramon and Zhuqiaomon haven't helped. It's even implied that the city had already been evacuated for these prior reasons even before D-Reaper showed up. As a result, all of the tamers are separated, travel is complicated and Guilmon's presence makes bystanders uncomfortable. The military has occupied the city in an effort to fight this thing off, but anyone who's seen Evangelion (or, really, any show where the army tries to stop a mysterious terror from the beyond) knows how that's gonna go. It's amusing that the episode is called “Reunion” because the time the primary tamers get with their families is cut way short. In a sign of just how much Rika's mother has figured things out, she doesn't protest Rika's decision to go fight. Not because Rumiko is comfortable with her daughter leaving, but because she knows Rika's going anyway. She'd just assume do it on her terms, with a hug and a sporty new t-shirt that doesn't throw off the animators much. It's a good moment considering how far apart these two were at the start of the show. Henry has a lot more trouble with his mother. While this whole journey has brought Rika closer to her family, Henry's mother can't help but feel like it drove them apart. Maybe it's the fact that she lost two children and her husband to the project, but Mayumi is in tears as she resists. Henry never fully convinces her, but he knows what he has to do and leaves anyway. With Janyuu already in town helping Hypnos, Mayumi gets a rough shake in all this. She goes from a happy family with no clear problems to a fractured unit where she looks like the bad guy just because she doesn't want to see her son risk his life again. 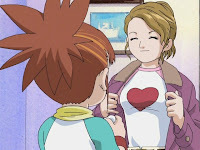 Takato's mother may have reluctantly agreed to let her son go to the Digital World, and was more than accommodating in letting him take Jeri to Matsumoto, but letting him go fight D-Reaper is another matter entirely. She adamantly refuses, demanding that he stick to the plan and return to wherever it is the family ended up post-evacuation. Takato's conversation with his mother isn't all that different than the one Henry had, albeit with less philosophy and more shouting. It's also done over a pay phone, which is a bad way to bear this news and doesn't give Yoshie the satisfaction of seeing Takato again. She's made incredible progress in accepting her son's role in all this, so it's not only unfortunate that Takato would hang up on her just because she's suddenly reluctant again, it's also very rude. The other reunions aren't much better. Ryo has a very awkward conversation with his “dad,” in quotation marks because him having a father in this world still makes no sense. Whoever that guy is, he clearly wasn't too thrilled about Ryo wandering off for a year. 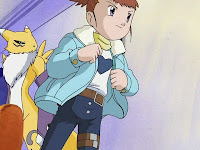 Impmon returns home to find the place empty, discovering only that Ai and Mako still think about him. Jeri, on the other hand, does seem to take more of an interest in her stepmother... that is, in an effort to replicate her apparent regenerative abilities when she comforts Masahiko. At least she's smiling again! Hypnos seems to have relocated its essential operations into a mobile unit pretty quickly, given how fast D-Reaper showed up. Either moving such delicate equipment doesn't take as long as you'd think or all of their critical network operations can be performed on your run of the mill PC. Did D-Reaper start slow and gradually engulf downtown or did it just plop right in overnight? We know the damage it's doing to the infrastructure is negligible, but I'm fascinated by the timetable, especially as it doesn't seem to be growing a whole lot in this episode (although that will certainly change). I love how much that drainage tunnel gets used in the series. What's that, the third or fourth episode where that thing's gotten some mileage? You also have to love the random awkwardness as Takato tries not to notice Rika's new shirt, and Henry tries not to notice the random awkwardness. Ah yes, J-Reaper, more terrifying than 95% of horror movies out there. Jeri pinning Masahiko to the ground an saying "All better now, all better now" has to be one of the most disturbing things I've seen. I think we shal call it the J-Reaper or D-Jeri. ...Oh. I guess there was a little bit of fuel for the Rukato shippers in this episode, huh? Weird; I completely forgot about that.